I love this detail shot of her engagement ring. We went to East 4th Street for a fun urban engagement session. 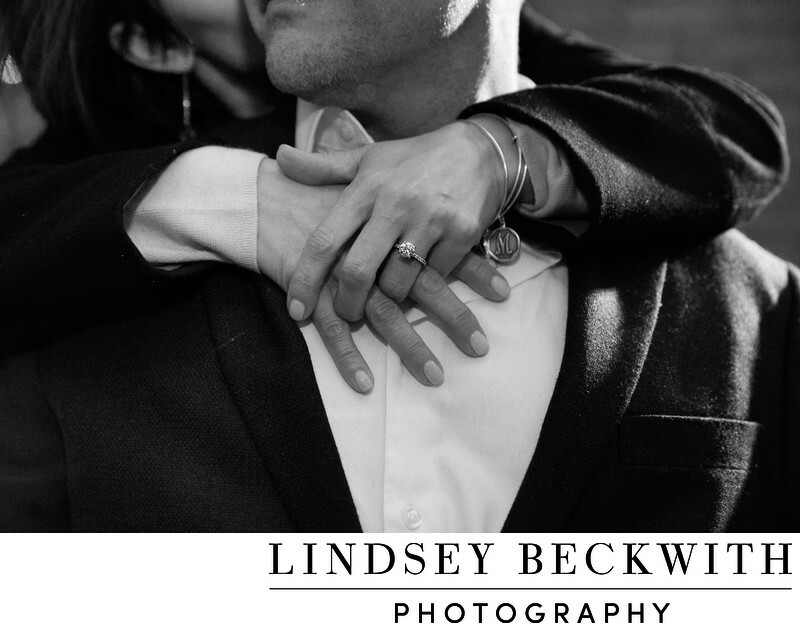 It actually snowed that day, so Carla was happy to snuggle up to her fiance for this engagement ring photo. I used an off camera flash to provide some highlights and depth to this romantic image of the symbol of a couple's love and commitment to each other. When it got too cold to be outside, we ended up in the loft at the House of Blues, and finished the session with drinks and snuggles. Engagement session photographed on East 4th Street in Cleveland, Ohio. Location: 308 Euclid Ave, Cleveland, OH 44114.